ZOYA has partnered with Henri Bendel to provide a custom LE Zoya gift box that will be used as a GWP with $150 purchase at 29 store locations across the US on September 9th from 1 – 4 pm. Stop in to get this limited-edition gift and enjoy bubbly (for 21+, of course) and sweet treats. Find your nearest location here. If you’re in the NYC area, head over to their NYC flagship store (712 5th Avenue) on September 9th from 1 – 4 pm to swoop up this limited-edition gift and enjoy bubbly, sweet treats, plus complimentary ZOYA manis. Can’t make the event? That’s ok, there’s plenty to go around! 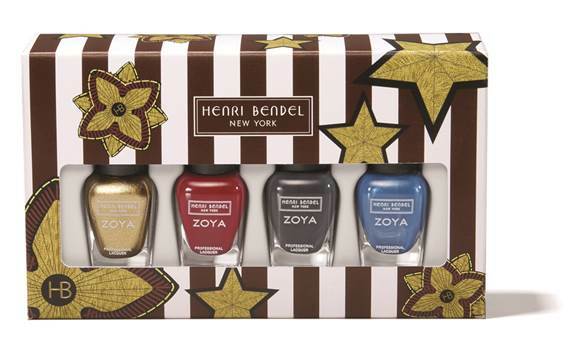 Visit HenriBendel.com now through Monday, September 11th to snag your ZOYA gift with $150 purchase.